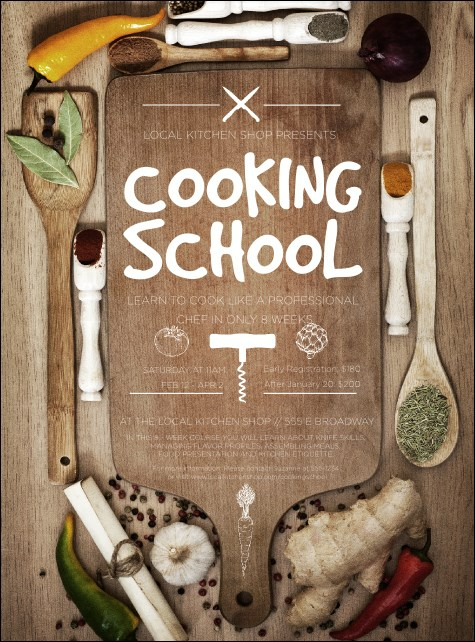 Show off your cooking and promoting skills when you post the Cooking School Flyer before your food-themed event. This creative image features a cutting board background with drawings of corkscrews and veggies in white, with clear photos of peppers and spices surrounding. Fill in your event information into the easy template to get this meal, and event, started.